More tourists in Kyoto and Tokyo are sightseeing early in the morning, although many venues are not yet ready to handle the new trend. In Kyoto, home to a huge array of temples and shrines, officials have been trying in recent years to ease congestion from the influx of visitors by opening tourist sites longer each day and seeking to attract off-season visitors. 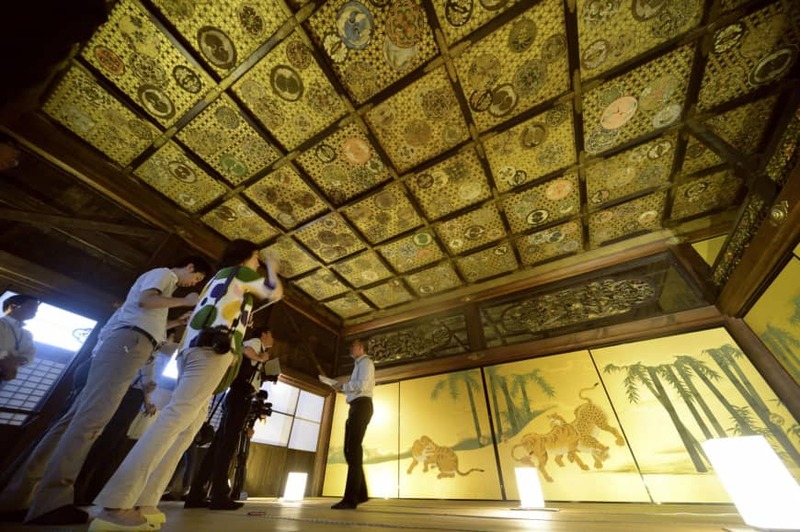 Nijo Castle, for example, opens at 8 a.m. from July through September, 45 minutes earlier than usual, and closes at 7 p.m. in July and August, two hours later than usual. It also offers a seasonal breakfast set featuring Kyoto-style congee with yuba (bean curd skin) and other ingredients. Nijo Castle was built in the 1600s as a stronghold in Kyoto for the Tokugawa shogunate, which was based in Edo (present-day Tokyo). It played important historic roles such as acting as the venue for the last shogun, Tokugawa Yoshinobu, to announce the return of governing power to the Emperor. Known for the gorgeous wall paintings in Ninomaru Palace and the seasonal trees and flowers of Ninomaru Gardens, the castle was registered on the UNESCO World Heritage List in 1994. The extended hours enable tourists to “enjoy their visits during the cool morning and evening hours,” said an official at the castle office. With breakfast served in the Koun-tei teahouse in a castle garden, visitors can enjoy both the food and the scenery, the official said. Tokyo Skytree, a 634-meter-tall broadcasting and observation tower in Sumida Ward that was completed in 2012, is not very crowded soon after it opens at 8 a.m. Some early bird tourists visit the tower for its sweeping views of the capital and to make tour plans for the day. 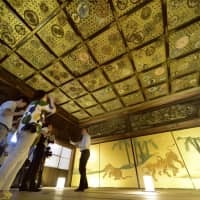 Some 85 percent of 300 or so foreign tourists surveyed by the Japan Tourism Agency said they want to visit museums and other public facilities early in the morning or at night. But in a separate survey by the agency, only about 20 percent of public and other facility operators indicated willingness to accept visitors at such hours, as most of them want to avoid increasing workloads. To promote early morning sightseeing, the agency wants to win cooperation from traditional temples, shrines and gardens popular with tourists from the United States, European countries and Australia, officials said. The agency considers it possible for operators to raise admission charges to cover cost increases if they offer fulfilling sightseeing plans, because American, European and Australian tourists are generally generous spenders, according to the officials. Early morning sightseeing is expected to have a variety of economic effects for lodging facilities, souvenir shops and other businesses around tourist sites. The agency is calling for the tourism industry to make use of resources in each locality to encourage visitors to wake up early for sightseeing.